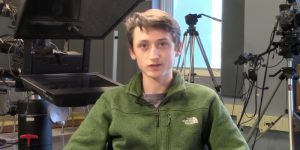 This month, tune in to our Education Channel to catch an airing of documentaries pulled together over the course of the school year by a very talented TV-2 class. The topics are varied, from how cancer affects families, to the latest research into Type-1 diabetes; from an obsession over sneakers to the many different aspects of considering local agriculture options. You never know what topic will be of importance to our newest generation–I think you’ll be impressed! The Needham Education Channel can be found on Comcast 8, Verizon 31 and RCN 3. PREVIOUS POST Previous post: Blast From The Past! Inside Talk with a 90’s Flashback!